Posted on 15, December 2015 by EuropaWire PR Editors | This entry was posted in Electronics & Machinery, Germany, Industrial and tagged circuits, Infineon Technologies AG, µHVIC ™. Bookmark the permalink. MUNICH, 15-12-2015 — /EuropaWire/ — Infineon Technologies AG (FSE: IFX / OTCQX: IFNNY) expands its µHVIC ™ family of integrated circuits for high and low voltage: the new single channel low-side drivers IR44252L, IR44272L, and IR44273L enable robust and cost effective design solutions. The device family utilizes Infineon’s proven, robust high voltage junction isolation (HVJI) technology to realize multiple functions and integrate robust protection features. The new driver ICs are packaged in a small 5-lead SOT23 and are complementary with other µHVIC parts. The devices offer a cost effective and easy-to-implement solution for flexible PCB layouts across many platforms and applications. In addition to the tiny SOT23 packages, the new single channel low-side drivers feature a wide V cc range of 5 V to 20 V, an enable input (IR44272L), and dual output pins (IR44252L, IR44273L). 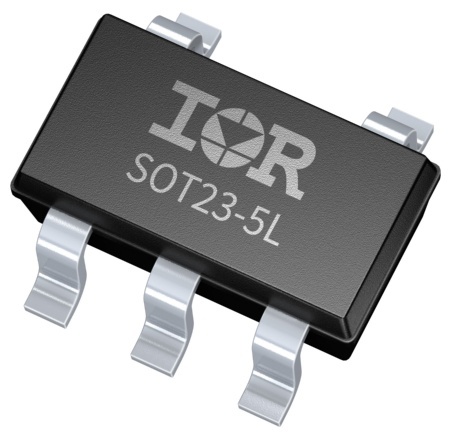 The typical source current and sink current of the IR44252L is specified with 300 mA and 550 mA, 1.7 A/1.5 A for the IR44272L and IR44273L,respectively. The new low-side drivers offer V CC Under Voltage Lock Out (UVLO) protection and fast switching. Typical turn-on and turn-off propagation delay is 50 ns and typical turn-on rise time and turn-off fall time down to 10 ns (IR44273L, IR44272L). The new devices are 3.3 V logic compatible and provide CMOS Schmitt-triggered inputs. The driver IC family consists of seven devices simplifying the development of power systems. They offer easy-to-implement building blocks for frequently used circuit elements. Apart from the new low-side drivers, the family includes the IRS25752L, IRS20752L and IRS10752L (600 V, 200 V and 100 V) single channel high-side drivers, and the IRS25751L high-voltage start-up IC (480 V). The devices are qualified to industrial grade, featuring integrated ESD and excellent latch immunity to enable rugged monolithic protection. Production samples of the µHVIC family are available. Further information can be found at www.infineon.com/microHVIC. The new µHVIC drivers are packaged in a small 5-lead SOT23 and are complementary with other parts from the family. They offer a cost effective and easy-to-implement solution for flexible PCB layouts across many platforms and applications.